Chatel lies at 1200 metres within the huge Portes du Soleil ski area). It is very close to the Swiss border, so your ski pass covers 12 linked resorts and allows you a massive choice of 195 skilifts covering 650 km of groomed slopes both in France and Switzerland. As you would expect, the range and variety of mountain sports are second to none and all standards and tastes are well accommodated. 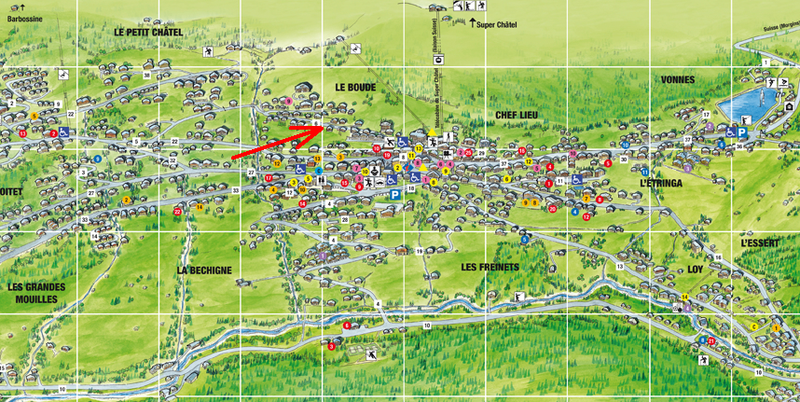 Chalet Page is very conveniently situated, just a 200m walk from the main ski lift and village. We like to walk down to the excellent local boulangerie each morning to pick up some fresh bread and croissants – it only takes 5 minutes! There are also a couple of well-stocked local supermarkets and a butcher within walking distance. For a wider selection, a large Intermarche supermarket is approximately a 5/7 minute drive away. We hope you will enjoy our home in the Alps as much as we do! Copyright © 2012-2013 Luxury Chalet Chatel.